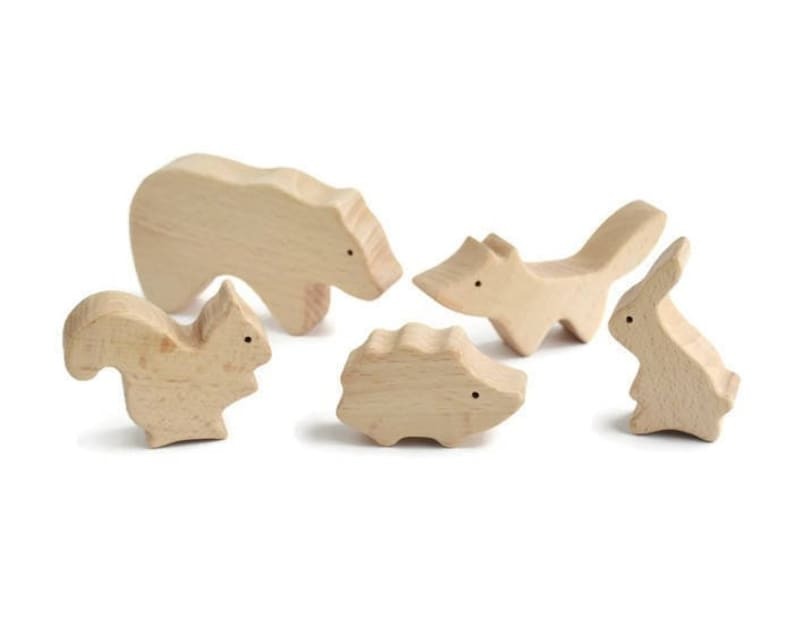 This is Wood And YarnToys original Woodland Animals Play Set - an exciting and educational game for little ones. 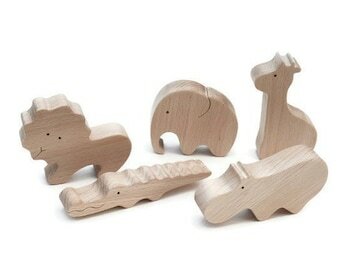 These toys are completely natural (without any oils or finishes applied). 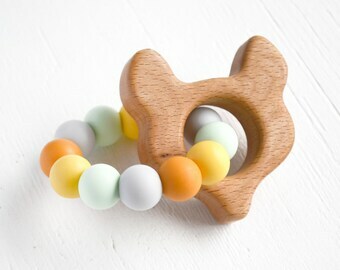 All edges are sanded satin smooth - perfect for little hands. Big set consists of 8 figurines 5 forest animals ( bear, fox, rabbit, squirrel, hedgehog) and 3 tees. From age 3 years and up. ATTENTION! Use it under supervision of adults! Because of the nature of the wood, there might be a slight difference in the shade and grain of the wood in the toy you receive from the one pictured in the listing. Cute set of animals and trees. 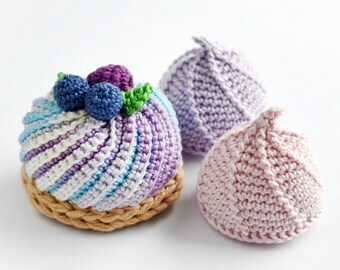 Baby seems to enjoy them, but they would even be cute just as decoration. Great quality and detail to these little animals and trees. 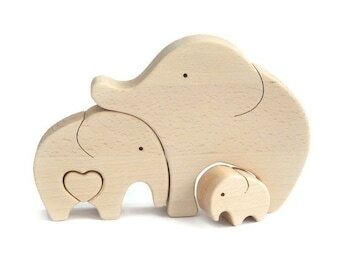 I bought for my daughter’s nursery and won’t have any hesitation to let her play with them as they are also quite smooth. Wood have natural antibacterial properties. Bacteria can not multiply or live on dry wood for long. 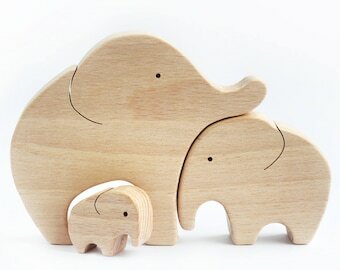 Wipe your wooden toys with a damp cloth when they look dirty. Never submerge your toys in water or allow them to be wet for a long time - the wood can soak up the water and crack or warp. If one notices any rough spots or splinters on a wooden toy during the cleaning process, smooth it out with sandpaper from your local hardware store. 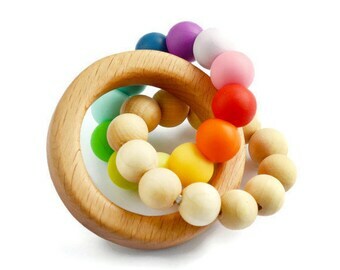 Since colored beads are made of wooden balls covered with cotton yarn it is not recommended to submerge them in the water for a long time. You can hand-wash it with mild soap. Can be hand-washed with mild soap. 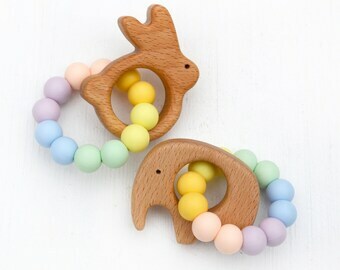 I am happy to make changes to existing designs of nursing necklaces and pacifier holders. If you want to add particular color or sequence of beads just message me before purchase to discuss details. It takes 2-5 business days to create a custom piece just for you. Shipping cost is not included in the product prices, but it will be added to your order and will be visible at Checkout before you complete your purchase. We accept payments through PayPal only. If you do not have a Paypal account, you are able to pay with your credit card through the Paypal website. Our current processing time is 2-3 business days for items that are in stock. Processing time does not include shipping time. We ship worldwide from Ukraine. We use the Ukrainian Post Registered Airmail with tracking number. We do not guarantee that items will be received by a certain date - it's out of your control. Please make sure your Etsy address is correct when you checkout! We will send all shipments to this address and NOT your Paypal address. In case of incorrect shipping address you order may be sent back to us or even misdelivered. We are not liable for such kinds of mistakes. If you noticed mistake, contact us asap. We won't be able to correct shipping address once the item is shipped. If your items didn't arrive within 45 days, please contact me and I will log an investigation through Ukraine Post. Once this is completed, they will contact your country Post and will both conduct an investigation in an attempt to locate your package. If the package is officially lost, 100% refund is guaranteed. If you are not completely satisfied, we are happy to accept returns. Just ship the item(s) back in unused condition within 21 days of receipt, and upon arrival we will reimburse the items' purchase price. Buyers are responsible for return shipping costs. Shipping costs and state taxes will not be refunded. Items which are returned for exchange will incur our flat rate postage cost for replacement, this is currently $7.50. You will be invoiced for this in advance. If you wish to cancel order (before the order was sent), please, note, there are non-refundable state taxes and fees. Please note that the color may slightly vary due to your monitor color settings. This is not classed as faulty or a defect. All designs remain the copyright of Lydia Bachynska.